to non payment of salaries and other entitlements, include Mr. Ipoola Binuyo, Abiodun Oyaremi, Rasaq Olubodun and three others, reporter has reliably gathered. Oluobdun who until his resignation was the Personal Assistant to Mr. Shittu accused the Minister of non payment of his 23-month salaries. The duo of Binuyo and Oyaremi who until their resignations were Chief of Staff and Special Adviser on Special Duties respectively resigned about a year ago due to the same fate they suffered while working with the Minister. Though, only the trio of Binuyo, Oyaremi and Olubodun’s resignation were made public, sources, however, informed that no fewer than six aides of the minister have so far resigned their appointments in the last three months. They were said to have resigned due to issues ranging from poor condition of service, non payment of salaries among others. They alleged that they had not been paid since 2015 when the Minister assumed duty. It was also gathered that most of the aides of the minister have not received any salary since they resumed office. Olubodun who once served as an Aide to Governor Abiola Ajimobi is the only one who hails from Saki, the hometown of Mr. Shittu among the trio whose resignation have so far become subject of discussion among political observers, analysts and members of the public in the state. Oyaremi who was then Oyo State acting Chairman for defunct Congress for Progressives Change (CPC), before the merger of the defunct All Nigeria Peoples Party (ANPC), Action Congress of Nigeria (ACN), and CPC to All Progressives Congress (APC) is a native of Ibadan, the state capital. Biodun Oyaremi as he was fondly called was said to have “stayed away from work when things were becoming unbearable”. Binuyo on the other hand is a native of Osun State and had served as a lawmaker in the Osun State House of Assembly between 2011 and 2015. He was serving as an Aide to Governor Rauf Aregebsola before he took the appointment as Mr. Shittu’s Chief of Staff in 2015. Binuyo was said to have “taken leave of absence” from the minister and never returned. 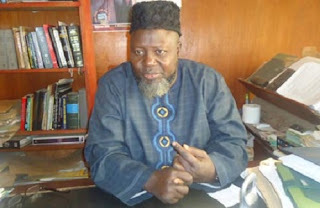 ‎While the duo of Binuyo and Oyaremi were said not to be demanding for anything as at the time of filling this report, Olubodun in a petition through his lawyer, Barrister Wahab Olatoye is demanding payment of his 23-month salary arrears and other entitlements running to over N10m from Shittu. Olubodun in the letter noted that all efforts to ensure that the issue did not become a thing of public knowledge proved to be abortive. He said that the intervention of elders in their hometown, Saki, to convene a meeting between him and Shittu ended in stalemate. Olubodun said, “The intervention of some elders from Saki did not yield any positive result as a meeting convened at the Minister’s house in Aerodrome Estate to reconcile ended in shouting match between me and the Minister. Olubodun while speaking with reporter on Wednesday in a telephone conversation said that he had to cry out due to the fact that there is no other option. In the telephone interview that lasted for six minutes, eight seconds, Olubodun told out correspondent that he resigned from the appointment on Tuesday 10 October 2017 while the resignation letter was delivered to the Minister on Wednesday 11 October after spending 23 months (since November 2015) without salaries. He said “I don’t want to talk anymore, I have resigned from the appointment eight days ago, on Tuesday and the letter was delivered to him on Wednesday. “I have written through my lawyer, Barrister Wahab Olatoye for the payment of my salaries. “I have two points, it is a lie that my salary is about 41 thousands as claimed by the Minister, my salary is about 450 thousands naira per month as confirmed by the Revenue Allocation and Fiscal Commission office. “Two, tell me where it is written in the constitution that a Minister should pay his aide after 23 months. That is it, I don’t want it to become a political thing because we are from the same town. “It was when I cannot cope again that I had to resigned. “I have been evicted from my house, I am owing people, I am living on friends and family members, when it get to that level I don’t have option than to quit. “My brother, I appreciate you for your call, you know this government stands for the truth. This government stand for change and we cannot continue to look at this without talking because we know this governemnt is fighting corruption. But Media Assistant to the Minister, Mr. Victor Oluwadamilare who also spoke with reporter on Wednesday noted that the issue of Mr. Olubodun and Shittu was a family affair which will soon be resolved. Oluwadamilare who also confirmed that some aides of the minister had resigned noted that the duo of Binuyo and Oyaremi and others resigned based on what is best known to them. He said “Your observation is not very correct, that one you mentioned, Binuyo and Oyaremi resigned a year ago. One of them resigned a year ago and the other resigned almost a year ago. “What I will tell you is that there is a rift between the Minister and Olubodun over his entitlement, if you know they are brothers. “I am very optimistic that the issue will soon be resolved amicably. There are about to happened, it is something can manage. “The Minister is a listening person, I believed that this issue will be resolved soon. And what I am telling you is the truth becuse I have been working as SA to the Minister for the past 23 months. Several efforts have been made to reach the Minister, but they all failed.